In this tutorial, you will learn how to generate a CSR code and install an SSL Certificate on BigCommerce. You will also discover a few interesting facts about BigCommerce, as well as the best place where to buy an SSL Certificate for your BigCommerce platform. 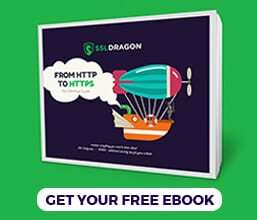 If you’ve already created a CSR code and applied for your SSL Certificate, you can skip the first part of this guide, and head straight to the installation instructions. Where to buy the best SSL Certificate for BigCommerce? When applying for an SSL Certificate, you must generate a CSR (Certificate Signing Request) code and send it to your CA (Certificate). The CSR code is a block of encoded text with your contact details. The CA uses it during the SSL validation process. Along with the CSR, you will also create your private key, an essential element to establish a secure connection between your server and users’ browsers. Save and backup your private key. You will need it during the certificate installation. Save your text file as yourdomainename. csr. That’s it. You can now use your newly created CSR code during the order process with your SSL vendor. Once the CA sends you all the necessary SSL Certificate files, you continue with the installation steps. Your private key: you’ve generated the private key along with the CSR. You should have it on your server or desktop. You should also have a copy in your email inbox. The installation may take up to 15-20 minutes. Congratulations, you’ve successfully installed an SSL Certificate on BigCommerce. After you install an SSL Certificate on BigCommerce, it’s always wise to scan your new installation for potential errors or vulnerabilities. With these powerful SSL tools, you can get instant reports on all facets of your SSL Certificate and its configuration. BigCommerce is a technology company specializing in e-commerce software development. Founded in 2009 by Australians Eddie Machaalani and Mitchell Harper, BigCommerce platform has processed more than $16 billion in total sales. In October 2017, BigCommerce stared offering in-app shopping via Instagram to U.S.-based merchants using their platform. 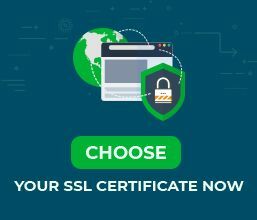 To help you choose the perfect SSL certificate, we built a couple of handy SSL tools. Our SSL Wizard does the search for you and recommends the best SSL certificate for your online project. On the other hand, the Certificate Filter sorts and compares different SSL products by price, validation, and features.